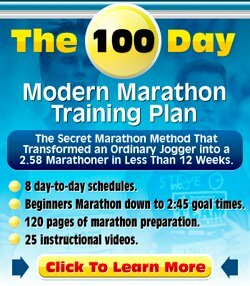 How can I train to run the 3200m under 11 minutes? I have been running for a year and a half and my 800m is 2:30, my mile is 5:30. Also my 5k is 19min. Could you give me workout schedules to meet my goal? Thank you for your running question. I can help you. Maybe not with a tailored workout schedule given the limited information available, but I can point out the root cause of your problem. When I first looked at your question, the first thing that came to mind was to check the different race times you gave to me and see how well aligned they were. Answer = 5.14 mins. Your time = 5.30 mins. Answer = 17.26 mins. Your time = 19mins. Answer = 10.52 mins. That's good. It at least means that the 11 min goal is within reach! You can do the same exercise for your mile-time. Compare it to the 5km time you are currently able to run and to the 3.2km time you wish to run. Your speed in a 800-metre race is fast enough to make your 11min goal attainable. But.... you run out of breath quickly! The longer the distance, the more time you lose compared to what you "should" run. When we double the distance to 1 mile, you lose 16 seconds to what the calculator says. When we go to 5km, you lose over a minute and a half. All of this has to do with how well your aerobic base is developed. You have been running over a year and a half and are clocking some good times. But your aerobic base, the foundation of your running, needs to be built. Any race longer than a few hundred metres requires an aerobic base, much more than it is requires speed / anaerobic running. your aerobic base needs to be strong, otherwise you are building your speed on a layer of quicksand. It is great to be fast, but you need to be able to be fast for a longer period of time. So, to cut a long story short: you need to build up your base. How do you do that? A) A very, very good read is the free e-book I give away with my newsletter. It tells you all you need to know about developing your aerobic base and it is written in quite an entertaining fashion. It is actually a "stream of thoughts" of this running trainer called Hadd which explains to I'd say 90-95% of runners how they can improve their running fundamentally. B) Read my base running article in the running training section of this website. I agree wholeheartedly with your comments about the free running book. It is AND entertaining, AND very useful as well. I have been following the method described by Hadd in the e-book and over the past 20 weeks I have been dropping times significantly in the tests he sets out to do. I have got some races coming up in the fall, and I have never been so convinced as now that I am going to break some personal records! Keep those running tips coming, Dominique, I love them!